This small-but-mighty minibus has room for up to 18 passengers and is operated by a professional driver. Rent it as a shuttle for local events, or use it to transport your small group from city to city. Either way, you’ll receive a reliable bus and incomparable service. 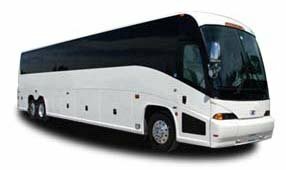 Partner with Seattle Charter Bus Company for your next sporting event, corporate conference, wedding, or school field trip for incredible customer service. Call us today at 206-257-3880 to speak to our experienced staff members, and they’ll provide you with an estimate in minutes!